The capital city of Kerala, Tiruvanantpuram is on limelight now days by highlighting the noble cause of wildlife preservation and to create awareness for the conservation of environment with a unique effort. 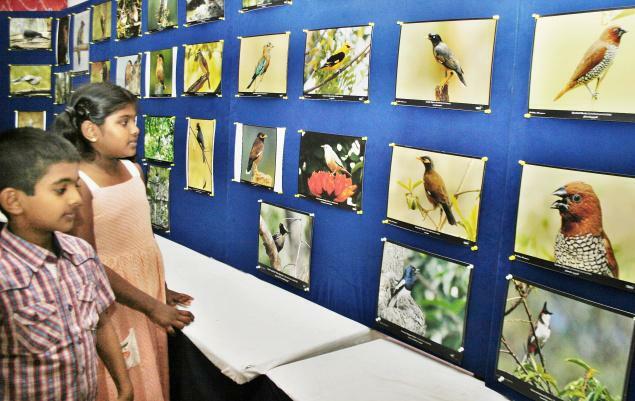 An association of fine art photographers “Light and Shade” is displaying large number of nature and wildlife photographs at Santhigiri Fest 2012 in the city. This effort is being motivated with the only objective of importance of preserving wildlife and nature and to create awareness among the people. This can be called as the first ever attempt of the “Light and Shade” group for promoting such efforts through pictures and messages. The founder of the association, T L John firmly believes that the idea of displaying the nature’s photographs will bring the importance of protecting and preserving the nature and wildlife and thus this attempt will certainly help in maintaining the ecological balance of our planet. John, who is a renowned artist and photographer since 32 years at University of Kerala, collaborated with many other talented artists and renowned photographers for the foundation of the association. This association is directed and guided by Vincy Lopez and Biju Karakkonam, the president and secretary of the association respectively. This effort is going to agitate the ruthless poaching of the wild lives and will become an initiative hand for the conservation of the environment.